We've taken our most award-winning product ever - Epic Bluetooth Wireless Earbuds and their next gen Epic2 - and rid them of even more wires to bring you Epic Air, our patent-pending, most innovative earbuds ever with best-in-class battery life*. 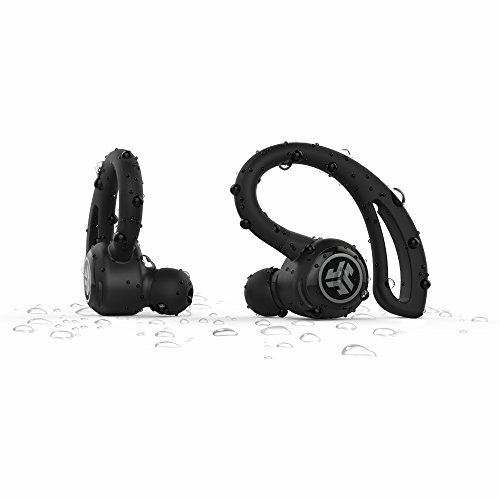 BEST-IN-CLASS PLAYTIME ... AGAIN As we dominated Battery Life in the wireless sport earbud category, JLab Epic Air features a seven-hour battery life - the best in the true wireless earbud market - and are paired with the most robust charging solution to date. The included charging case can pump out 30 more hours of listening time - beating anything in the category with time to spare. That's 36 hours total, 24% more than the Apple AirPods*. BLUETOOTH® 4.1 Free yourself from cumbersome cables with the magic of Bluetooth 4.0® with aptX Technology, providing amazing wireless audio quality. An upgraded ceramic antenna with BeaconTM Signal Technology, provides unsurpassed connectivity and reduces environmental detuning. Make calls. Listen to music. Do work. All from up to 30 feet away. It's wireless sound at its best. PORTABLE POWER The included charging case is the perfect portable, universal charger- not just to keep your Epic Air going for 30 hours, but for charging your device in either the USB or microUSB ports. The lights indicate how much power is remaining so you'll know when to recharge the case as well. REVOLUTIONARY FIT Our proprietary earhook combined with eight sets of gel-tips, including an industry-first triple flange custom fit tip and a unique shallow-fit tip, allow the earbud to customize to anyone's fit. JLab offers more fit options than nearly any other true wireless earbud and the additional safeguard from the earhook creates our revolutionary fit and feel. PATENT-PENDING ANTENNA EARHOOK We focused on creating a secure, uninterrupted BT connection. While other true wireless products struggle w/ the cross-body connection & consistent cut-out issues**, JLab's first-ever antenna earhook is designed with the BT antenna in both the R/L side. This location, along with allowing your device to connect to either earbud, ensures the strongest BT connection. The result of the earhook antenna and connection versatility is so powerful, JLab patented the design.